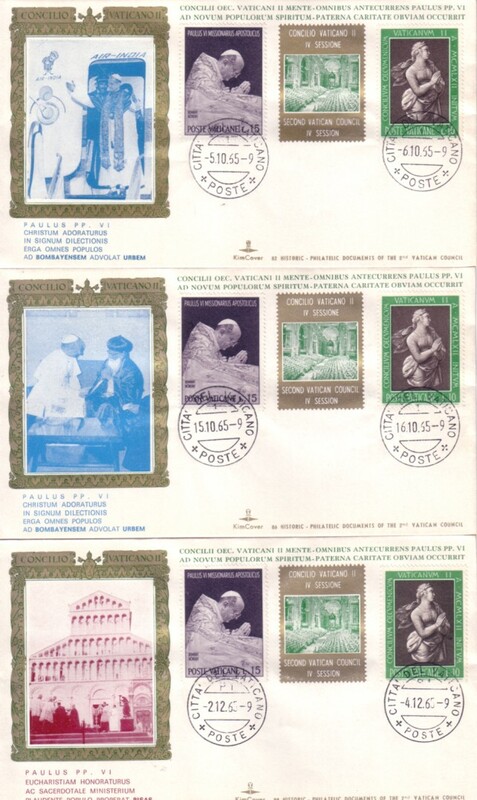 Set of three different 1965 First Day Covers featuring Pope Paul VI, each with dual postmarks: 10/5/65 and 10/6/65; 10/15/65 and 10/16/65; and 12/2/65 and 12/4/65. ONLY ONE SET AVAILABLE FOR SALE. 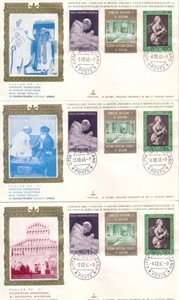 The first two FDCs commemorate his trip to India. ONLY ONE SET AVAILABLE FOR SALE.